This coat (which I got for my man, the other thing in the order was a coat for myself) was my first time ordering off of this website, and I'm beyond impressed!!! This coat is gorgeous, tailored, and I can't wait to give it as a Christmas gift! It's definitely worth the money, and I'll definitely be buying more things off of this site. 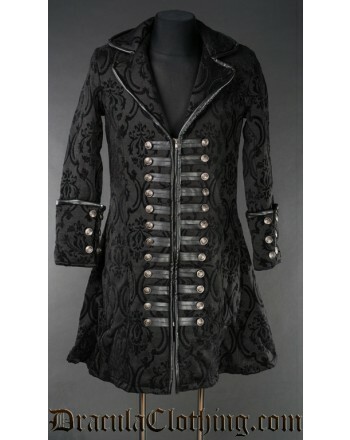 This coat has so much detail, from the anchors on the buttons to the design that's embroidered across it. I love that this design matches the coat I bought, too! If you're hesitant on buying something from Dracula Clothing, definitely do it!! !